UPDATE: THIS EVENT IS CANCELLED AND RESCHEDULED TO DECEMBER. STAY TUNED FOR FURTHER DETAILS. On November 2nd, the TIPA Project will present a free pre-Election Day event celebrating the Glory of America. 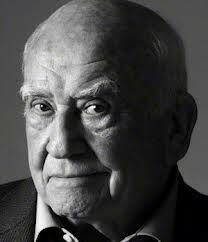 Emmy and Golden Globe award winner Ed Asner, currently starring in Grace on Broadway, and Tony award winner Fritz Weaver will read from the speeches by Jefferson, Cady Stanton, Lincoln, F.D.R., the Rev. Martin Luther King, Jr., as well as from the poetry of Walt Whitman. Other artists participating are to be announced. The Glory of America, celebrating our Nation's Democratic Heritage via literature and the spoken word, is a gift to the public from the artists and TIPA, to promote peace and unity through free public performances of the arts and literature. The event is free and open to the public and is hosted at Saint Luke's Lutheran Church, 308 West 46th Street (Restaurant Row). The reading is scheduled to take place on Friday, November 2nd, from 1:30 to 3:00 pm. No reservations are necessary. 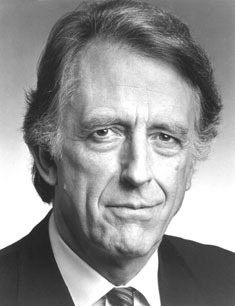 TIPA, or Toward International Peace Through the Arts, was founded by Stanley E. Tannen. Stan is celebrating his fifth decade as a peace advocate and activist dedicated to promoting the Humanities – Literature and the Arts – as an instrument for peace. The TIPA Project and its founder Stanley E. Tannen have been nominated for the Nobel Peace Prize. The TIPA Project began presenting programs at New York University in 1971, and adopted its present format of readings by the great stars of Broadway, film, and television in 1982.